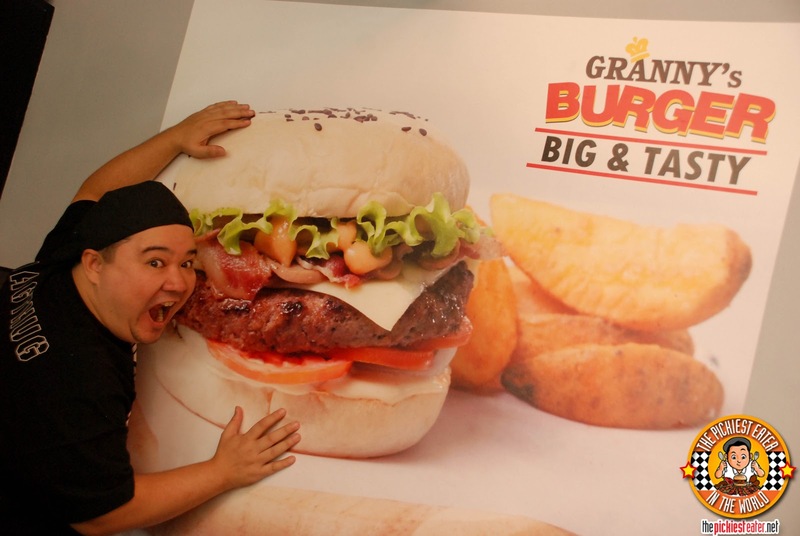 The name said it all: Granny's Burgers.. Big and Tasty! 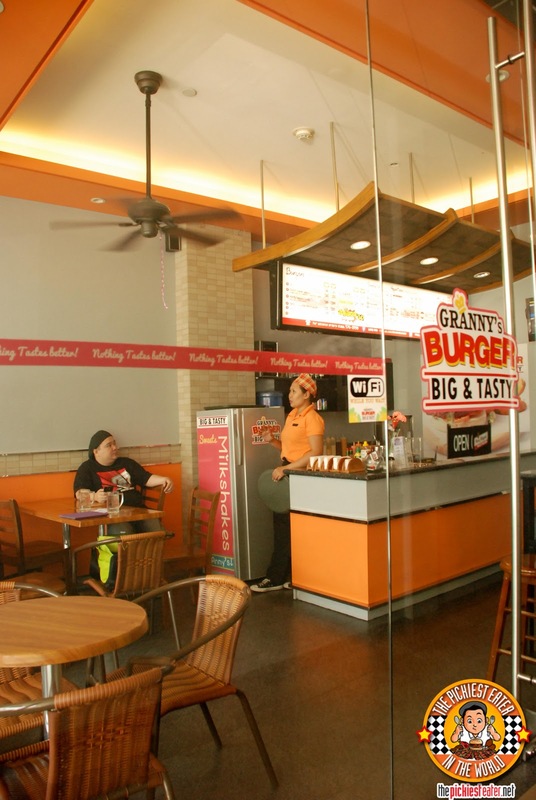 Granny's Burgers is a small nook Located on the ground floor of LPI building along Capt. Henry Javier street in Pasig (The road going to the motels.. umm.... So I heard there are motels there.. Not that I would know.. I mean.. err... What are "Motels", anyway?). It's really just a small corner of space that offers about four tables inside, and a few more at the al fresco area outside. Forgive me for a second, but I need you to allow me to show my age for a second - Do you remember the brand "Presto Ice Cream"? No doubt, their most popular item in the market was the "Tivoli" an ice cream bar way ahead of its time. All the hype went to the Tivoli, but something that seemed to be overlooked by consumers, was Presto's Chocolate ice Cream, which to me, still ranks as one of- if not THE best chocolate ice cream I've ever tasted. 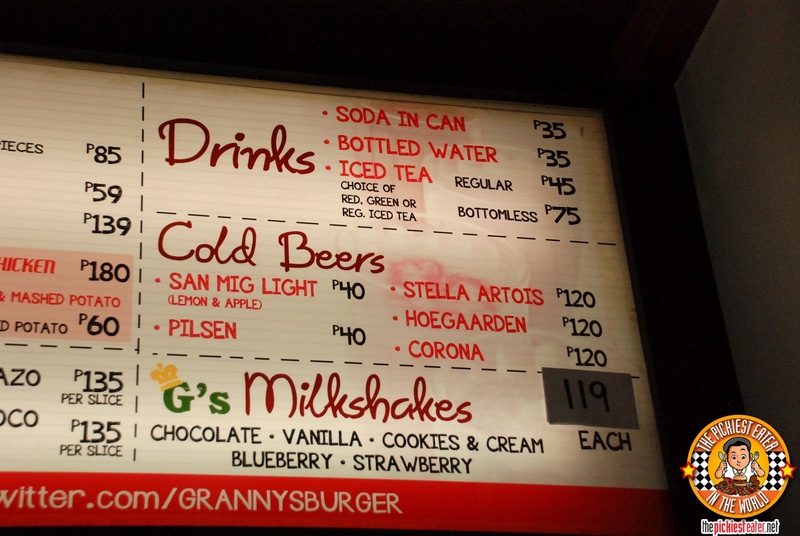 Memories of that smooth creaminess came flooding through my mind as I took my first sip of Granny's Chocolate Milkshake (P119). 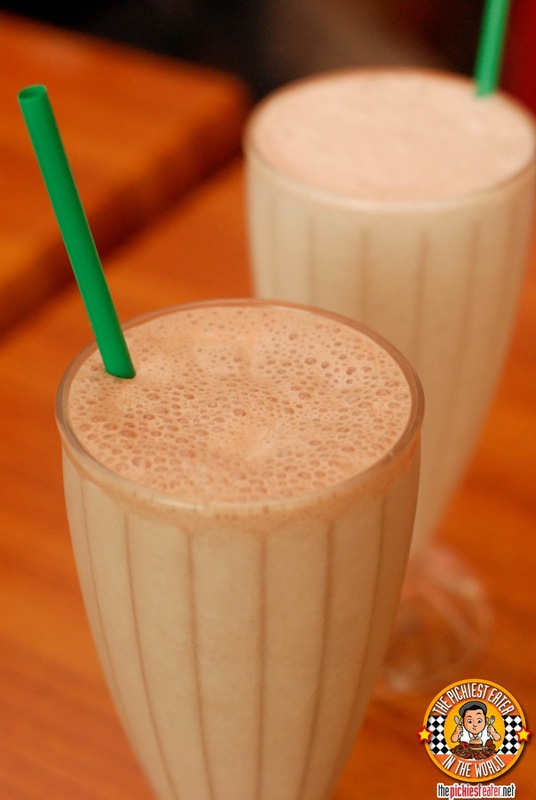 It was simple yet delicious. Rina ordered the Cookies and Cream, which was also really good. In fact, I couldn't decide which one I enjoyed more.. So there was only one way to settle this once and for all. 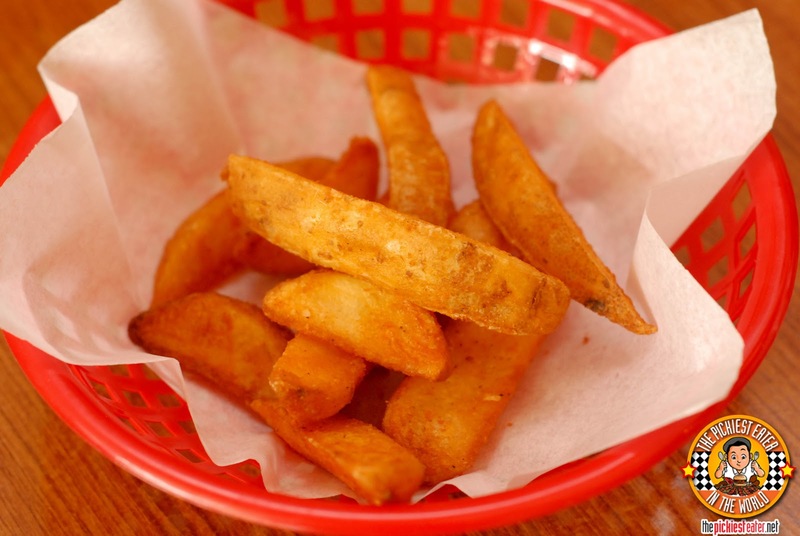 Rina and I shared a little basket of Potato Wedges (P59). I don't usually like Potato Wedges, as I prefer thin cut fries, but I made an exception to this because it was still crispy, despite it being a thicker cut. It had great flavor on the light coating, and an awesome partner for your burger. 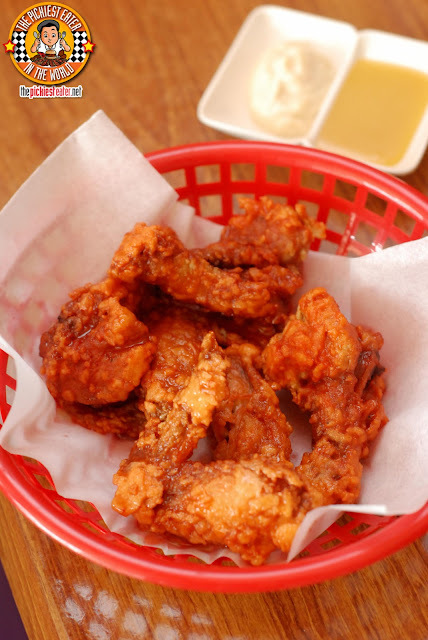 Although we asked for the Allas de Pollo aka BUffalo Wings (P190 Half Order/P350 Whole Order) to have only mild spiciness, the heat on it still packed a punch. I'm not too big on Buffalo wings, because of the flavor of Cider Vinegar, however Rina enjoys it, and liked this one in particular. It came with a duo of Blue Cheese Dip, and Honey Mustard. As soon as I saw the Mamu Burger (P189 Single Patty, P299 Double Patty) on the menu, I knew Rina would want to order it. Not that I blame her. If you tell me you can resist ordering a 1/3 Australian Burger Patty stuffed with mozzarella cheese, than you're a stronger man than I. 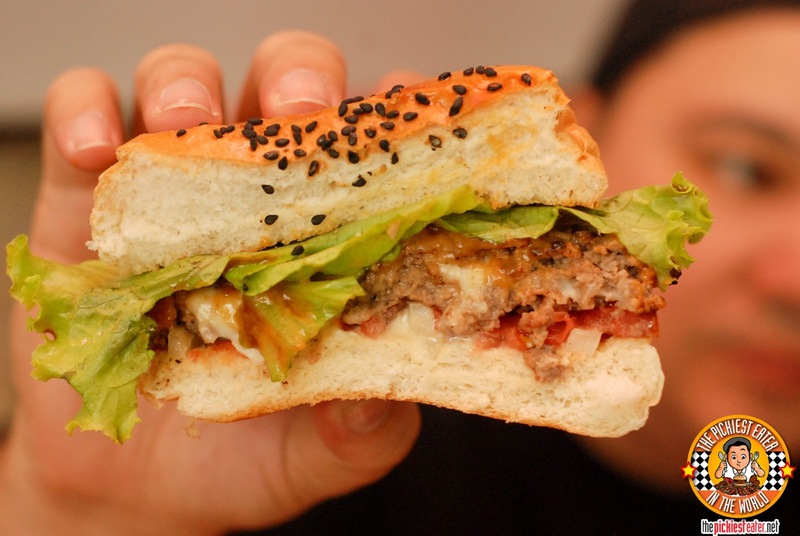 You take a bite out of this juicy burger, and you get a burst of mozzarella oozing inside of your mouth. The meatiness of the patty mixed with the cheese perfectly. As good as the Mamu Burger was, I was there for one reason- The Triple Decker Starving (P347). 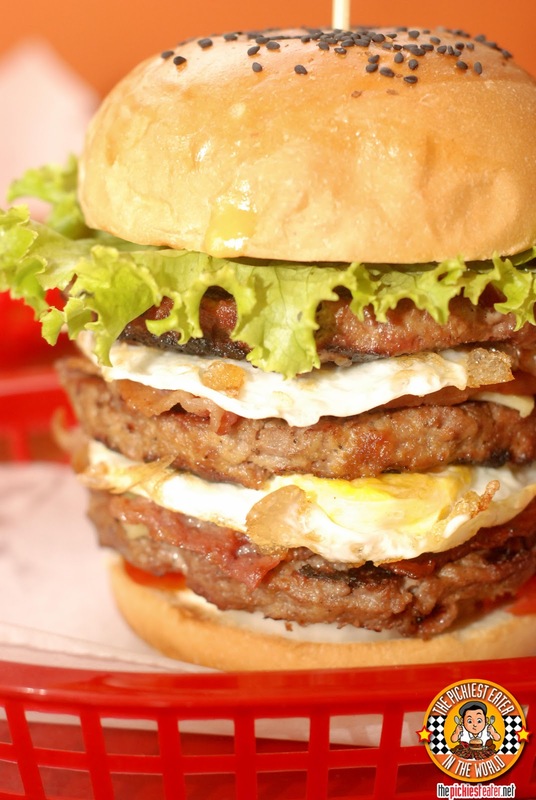 The three layer burger was filled with a pound of beef, slices of bacon, cheese, two fried eggs, and a smearing of sweet and tangy BBQ Sauce . I think my love for burgers has been apparent in the existence of my blog. 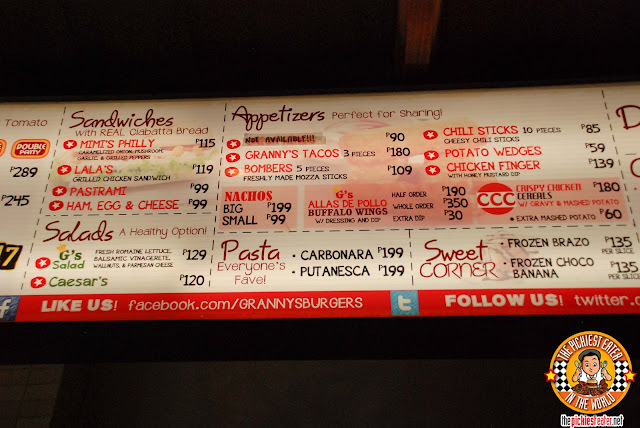 I'm constantly on the lookout for the next big burger joint that I can add to my list of favorites. I think I may have found yet another one! I really missed out on Boulevard.. 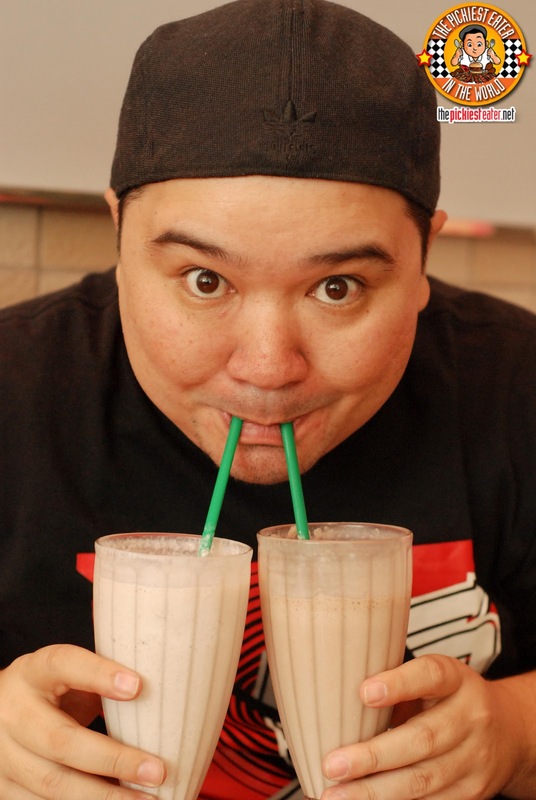 Whenever I think about them, i remember your picture of the juicy burger!! Thank you, thank you, thank you... for going back to what I loooove so much about your blog! 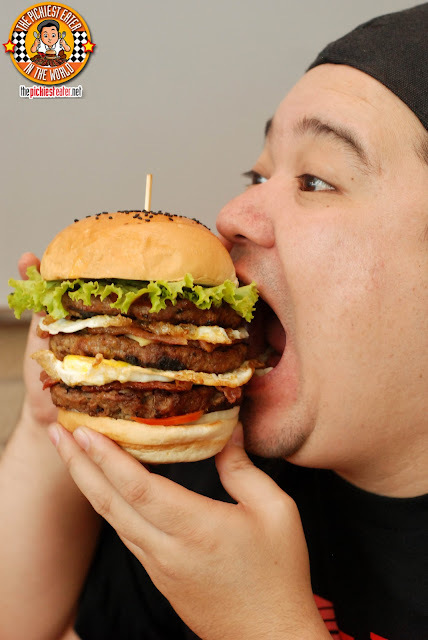 Not that I don't want you to review big-name restaurants and chains, but your posts about these small and relatively unknown restos is what I actually look forward to reading. Malapit lang sa amin ito! Must visit this place soon. Ate here yesterday, and you're right - the food was delicious! The potato wedges are particularly outstanding. 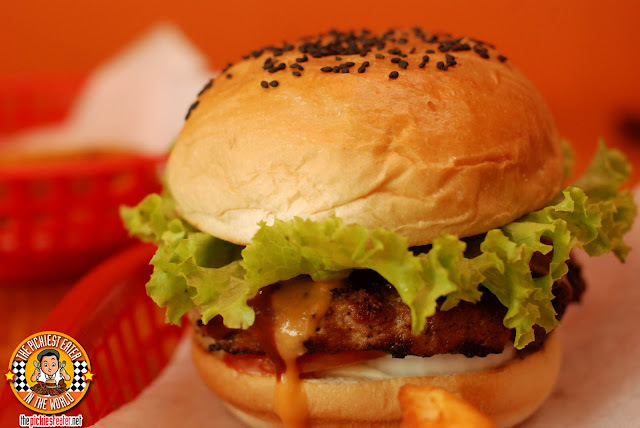 The burger is juicy and flavorful (and inexpensive! hehehe) and can definitely compete with the best out there. 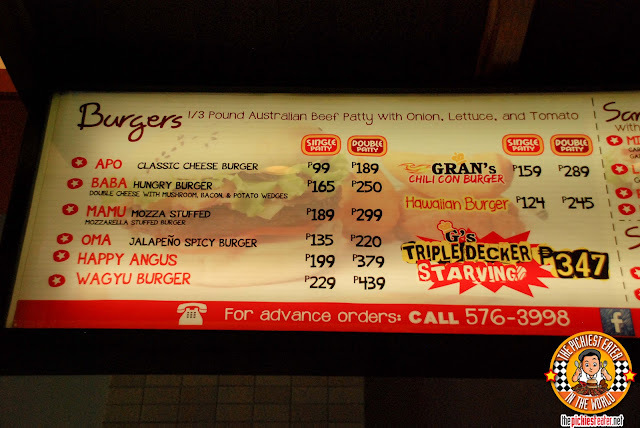 kayang kaya mo yung triple decker starving! Memories of Tivoli. I particularly love the Presto Ice Cream Sandwich. I still like that better than DQ's. I'm with ya on that one, Chriselle!